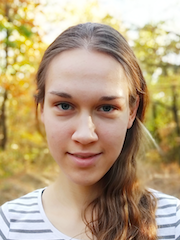 Willemijn van Kooten is a PhD student in the International Research Training Group "StRATEGy" and a staff member in the Geology working group at the University of Potsdam. She holds a MSc’s degree in Earth Sciences from the University of Innsbruck. Her research focus is the structural and sedimentological history of the Lomas de Olmedo sub-basin in North-Western Argentina during rifting and subsequent reactivation of extensional structures. This project involves a combination of thermochronologic, stratigraphic, sedimentologic and structural studies to characterise the basin fill and constrain important events in the history of the Lomas de Olmedo sub-basin.